Harriet Harman MP, Labour’s Shadow Secretary of State for Culture, Media and Sport, has today written to the director of the Tour de France, Christian Proudhomme, to support calls for a women’s version of the event to be held. Ms Harman also called for a women’s race to be held alongside the Grand Depart, which will be held in the UK in 2014, arguing it would be a ‘great opportunity’ to capitalise on the success of the Olympics and would set an example to the rest of Europe and Le Tour. I am writing to call on you to hold a women’s race alongside the Grand Départ of the Tour de France in 2014. 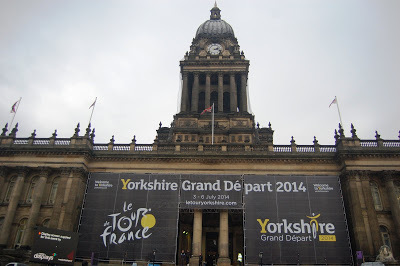 Just one-year-to-go until next year’s Grand Depart – and celebrations will kick off in style on 7 July when the eagerly awaited Sky Ride event launches in Leeds city centre. Hundreds of people of all ages will line up on their bikes outside the Town Hall to take part in the free mass-participation cycling event which will take them on a 5km circuit through the city centre, the university campuses and Woodhouse Moor. Sky Ride Leeds is a great opportunity to ride with family and friends in a traffic-free city centre. There’ll be loads of free things for the whole family to do, so get your bikes ready and come and join in!